World famous Oak Island is less than 10 minutes away from RayPort. Friends of Oak Island Society operate the public tours of Oak Island. The legend of the “Money Pit” began in 1795, when three boys discovered unmistakable proof that someone had buried something deep in the ground. For centuries, seekers have tried find the buried mystery which, according to theories, could contain Captain Kidd’s treasure or connections to the Holy Grail. The Oak Island legend has recently experienced resurgence in popularity and is currently being filmed for the History Channel television series "Curse of Oak Island"! 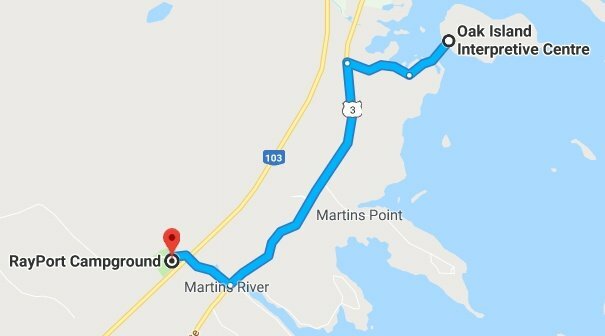 While visiting RayPort, chart your course for Oak Island. 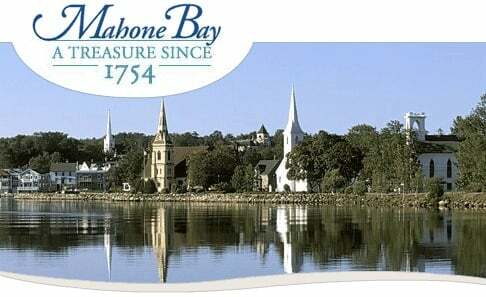 Mahone Bay...voted as one of the best small town destinations in Canada. Now you've finally made port and it’s time to drop anchor! 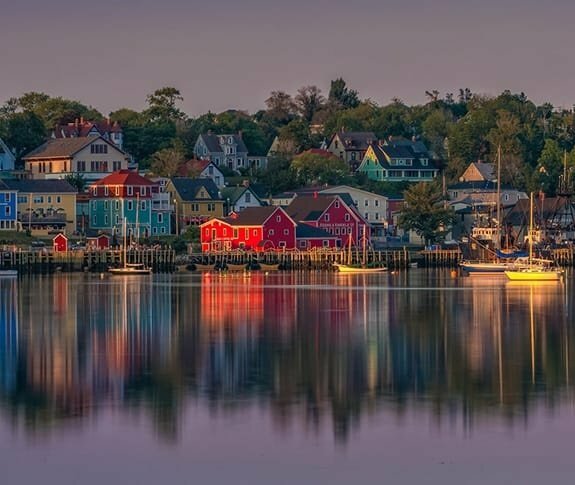 Mahone Bay is a tranquil destination with spectacular views of our scenic harbour, where sailboats gently bob and the sun sparkles like diamonds on the deep blue waters. As you walk through town, you’ll see vibrantly painted Victorian homes and shops, colourful heritage gardens, and our world-famous three churches, which sit at the water’s edge and form the iconic backdrop for one of Canada’s most picturesque towns. Bluenose II Nova Scotia's Sailing Ambasador...Lunenburg is the home port of Bluenose II and birthplace of the original Bluenose. It has a proud seafaring history that is still reflected today in its picturesque waterfront. 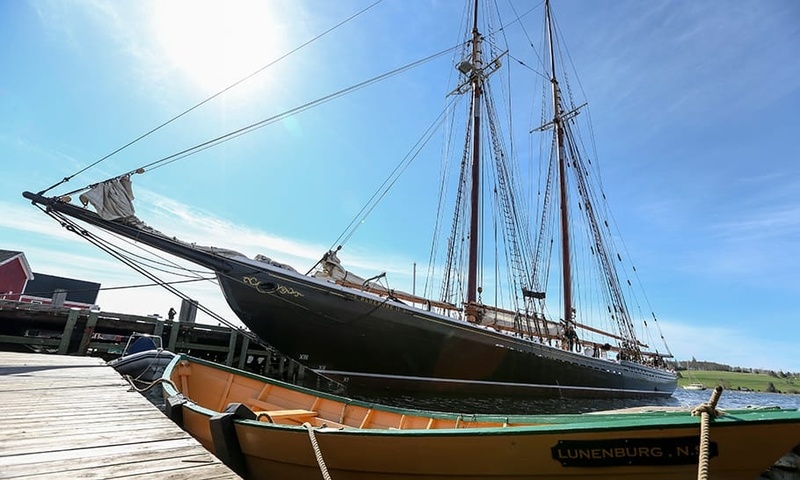 More than 200 years in fishing, shipbuilding and marine related activities have established Lunenburg as a prominent maritime port. Initially mapped and named by Samuel de Champlain in 1604, Cape le Heve was the first place he sighted in North America, and the first capital of New France from 1632-1636. Isaac de Razilly led an expedition to establish a permanent civilian colony in Acadia in 1632, after Acadia was returned to French control. He chose le Heve. Land was cleared, houses built, livestock imported, and settlers arrived in 1634. These French settlers at LeHave, Foreign Protestants at Lunenburg (1753) and subsequent British colonists have all influenced the development of the town. Things to see and do when you visit Halifax, Nova Scotia. Only an hours drive from RayPort!